The starting point! 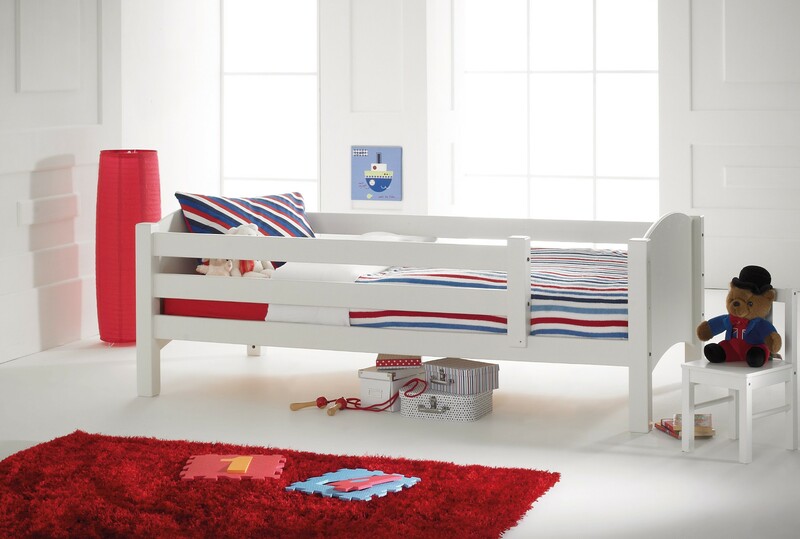 This kids bed can grow with the child first to a cabin bed and then to a loft or bunk bed with the help of Scallywag conversion kits. This is the starting point of the Scallywag modular system: this twin bed converts to a Cabin, Loft, or Bunk Bed with the help of a Scallywag conversion kit, you pay only the difference in price. Fits a standard Twin size mattress. Bed frame, rails, and legs from solid Scandinavian pine, side panels from high density wood composites.